Since we began in 1987, LCS and Rent Manager have been 100% focused on making life easier for our customers in every way. This customer-centric mindset goes well beyond just our software offerings. This past month, our team joined hundreds of fellow industry-members on Capitol Hill to participate in NAA Advocate. 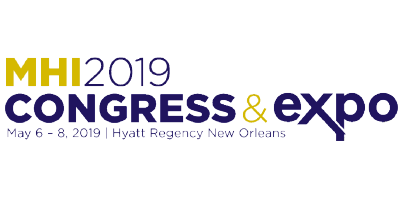 Every year, the National Apartment Association (NAA) hosts an annual advocacy conference in Washington, DC to provide education and reform on the rapidly evolving multifamily housing industry. NAA Advocate works to protect businesses and the multi-family industry as a whole. By introducing research and resources to policymakers, NAA Advocate helps to better the industry and the issues that directly affect those involved in it. According to the NAA website, they “envision a world where rental housing is a valued partner in every community” by being a “leading voice for the rental housing industry and as a trusted partner, valued connector and a powerful advocate.” LCS and Rent Manager are proud to partner with this non-profit organization to provide resolutions for the multi-family housing industry. Our Business Development Manager, Abbie Huffman, and our Channel Partner Manager, Patrick O’Hearn, represented the LCS and Rent Manager team at this year’s event. Abbie spends her days at LCS evangelizing for Rent Manager, helping to build our brand and market position across a variety of industry verticals, including multifamily. As Channel Partner Manager, Patrick is the driving force behind our ever-growing supplier partnership program. He identifies technology providers with different capabilities to utilize our open API ecosystem so that our customers can do even more with Rent Manager. This year, talking points focused on the Section 8 Housing Choice Voucher (HCV) program, infrastructure, and flood insurance. Abbie and Patrick, along with other industry experts from the Greater Cincinnati area, met with twelve members of Congress (including the office of Senate Majority Leader Mitch McConnell) to work on these issues. 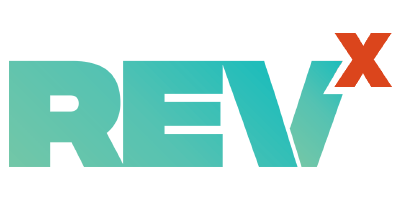 Streamlining and reforming the HCV program to encourage more private participation. Greater overall funding to increase the supply of vouchers and improve the efficiency and consistency of the program. Addresses housing and supports measures that drive new investment in housing. Promotes transit-oriented and high-density development. Eases regulatory barriers to apartment construction. Sensible reforms to enhance private flood coverage options. Provision for Replacement Cost Value (RCV) to damaged apartment properties. Improvement of communities’ access to current flood mitigation funding and programs. To read more, download the NAA Advocacy 365 App. Why is NAA Advocate important? According to the NAA, their strategic initiatives include, “[helping] operators manage their businesses more efficiently and effectively, [establishing] a unified network to serve stakeholders, [creating] a viable industry marketplace, [raising] influence with those who affect the rental housing industry, [optimizing] volunteer and staff resources, [and creating] outstanding stakeholder experiences.” The NAA’s goal is truly to ensure that multi-family industry is successful and accessible to all. NAA Advocate helps get this goal done by booting boots on the ground and ensuring politicians hear directly from industry experts. It goes well beyond NAA Advocate, as well. 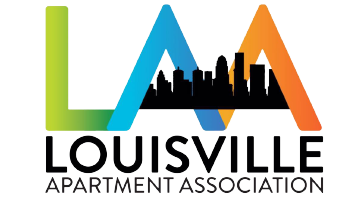 Abbie serves on the Board of Directors for the Greater Cincinnati Northern Kentucky Apartment Association, which is an ongoing commitment and representation for the industry. She also is an officer-at-large for the National Suppliers Council and on the Global Outreach and NextGen committees. Patrick serves as a PAC Ambassador for the NAA, working to raise money for them to further their agenda and support the industry. He also serves on the Lease Advisory and Technology committees. Both are volunteering their time outside of their jobs to further the industry and further the success of NAA, LCS, and their customers. Both believe that it’s important for customers to see their suppliers—or any suppliers—offering support and solutions beyond the products they sell. Our team will continue to further the conversations started in DC by supporting those industry professionals working at the local level and committing to follow through on the issues of flood insurance, infrastructure, and affordable housing that were addressed during their time on Capitol Hill. For more content on #LifeAtLCS and the people behind the product, follow us on Facebook, Instagram, and LinkedIn. For property management tips, events, and the latest product information, follow Rent Manager on Facebook, Twitter, Instagram, and LinkedIn. So What is an API, Anyway? The Water Bill: Landlord’s or Tenant’s Responsibility?